After a successful 360 program delivery campaign in 2017, New Brunswick Tourism reached out to Fervent Events again in 2018 to promote the East coast province as a vacation destination to Ontarians. This time around, New Brunswick Tourism wanted a fun, creative, and bold campaign that would stand out and appeal to the millennial traveler. It wasn’t hard for Fervent Events to be inspired by the beauty and adventure of St. John, New Brunswick for another successful promotional campaign. Fervent Events knows Toronto, and what Torontonians love. That’s why in coordination with New Brunswick Tourism, we sent three local artists to St. John on an all-expense paid trip to get some inspiration. 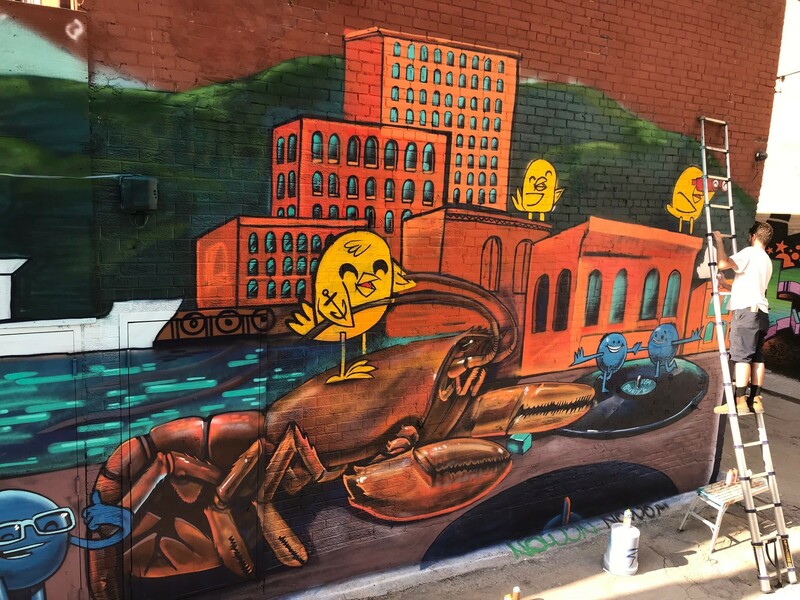 When they came back, each artist composed a mural design to paint at one of three locations throughout the city, showcasing the epic beauty of the east coast. While our artists were in St. John, Fervent Events was on the ground in Toronto scouting mural locations. Three walls in Chinatown, Leslieville, and Graffiti Alley were chosen as public canvases, waiting to host a snapshot of Canadian beauty hundreds of kilometres away from the city. 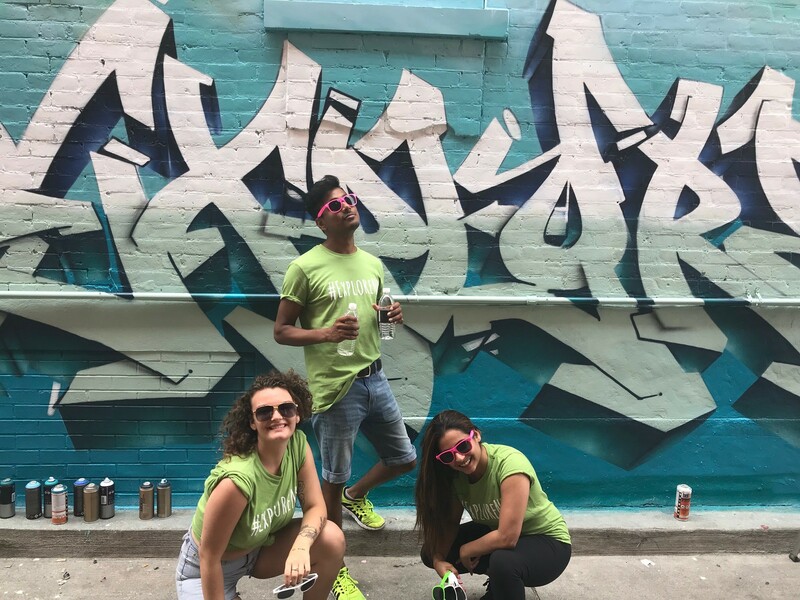 Once our artists returned, we had them live paint the murals while our brand ambassadors played music and engaged passersby to take a photo and hashtag #ExploreNB in exchange for some custom swag. Fervent Events was able to bring together a number of talented artists and brand ambassadors to spread the word about the hidden gems of Canada’s eastern province. Thousands of impressions both on social media and in-person during the activation. 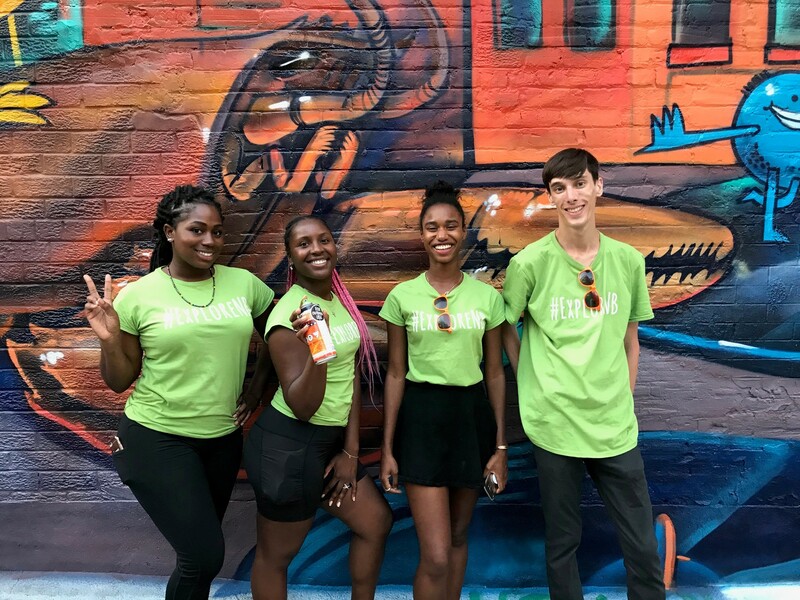 Torontonians were able to witness muralists at-work while engaging with knowledgeable brand reps about all New Brunswick has to offer.